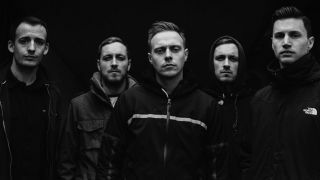 Architect have streamed their track Downfall from seventh album All Our Gods Have Abandoned Us – and they’ve also announced a winter tour of the UK. The follow-up to 2014’s Lost Forever Lost Together is released on May 27 via Epitaph Records, and the band have a run of shows in Europe and North America over the coming months, including an appearance at the Download festival. Tickets for the November dates are on sale now. Why are Architects so pissed off?